This post is kind of a catchup post of what's happening lately in the Gangrene world. 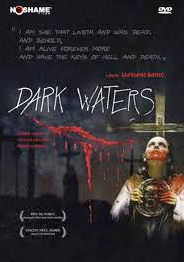 First off, my show for this weekend is the Italian horror film Dark Waters. Now here's the catch - I didn't get to preview this one before we aired it - it wasn't in at the station yet and I only had the title to go by, and my program director didn't know for sure which Dark Waters it is. 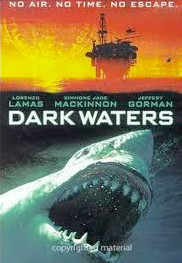 SO I'm HOPING it is the 1993 Mariano Baino film, because there is a trailer on youtube for some crappy shark movie of the same name. Guess I'll find out tomorrow when it airs - Ought to be interesting!!! Speaking of sharks I've been on a bit of a shark kick lately. 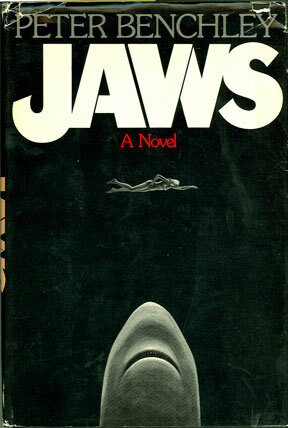 I am currently reading JAWS, which I've never read before. GREAT book!! Since I was reading the novel, I thought I'd go back and watch the movies. I haven't seen the sequels in years and was curious to see where the took the franchise. The first one is awesome, a true classic and probably Speilberg's best movie. The second one is pretty good, the third has it's moments, and the fourth is awful. but I made it through them all and survived - yahhh! My band is recording this month. We're going to try and have a complete cd ready by time for the Hootenanny next month. I'll keep you ghouls posted. I'll be appearing at the Paranormal Scare Fest in Murfreesboro TN later this month. I'll be there sat Aug 28th and am looking forward to meeting some fellow horror hosts I've not had the pleasure of meeting in person yet, especially Marlena Midnight, Robin Graves and their crew. I've spoken with them all on the internet and they are a friendly and talented bunch of folks - they do good work so look them up!! 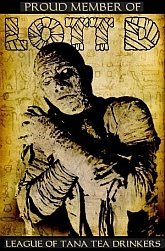 And I also want to announce I'll be writing for Scary Monsters Magazine regularly for now on, and the premiere article is running in the next issue - #76, the Sept/Oct issue. Woo hoo - just in time for Halloween. 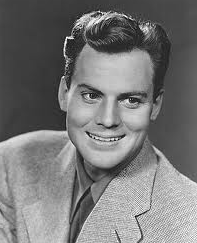 This article is an interview with John Agar II, son of the late great John Agar the noted Sci-fi actor. john contacted me last year to thank me for all the kind words I had said about his dad and his work over the years in print and video - I'm a big fan and that apparently showed through in some of my work. The fact he took time to write and tell me thanks REALLY made my day, and we struck up a correspondence and I eventually interviewed him, and the result turned out really great. 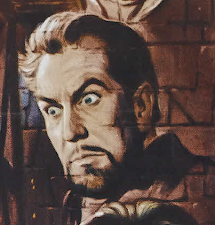 He discusses his father, growing up son of a famous b movie actor, and more. So that's it for this time. Gonna go watch the Legend of Boggy Creek - I just got it in the mail from Netflix! Wow, sounds like you've been having a great couple of days thus far. Congratulations on all your recent successes! I happened to watch the American Scary documentary today on Netflix and I extremely loved it. It was an added bonus to see you in there as well! It really was a great piece about some people that I unfortunately didn't have the chance to grow up with. It's really great to know that there are still cool ghouls out there keeping the tradition alive. Keep up the great work and best of luck finding out which damn movie that is you're showing! Thanks. Am Scary turned out great - I was a bit wiped out when they filmed it. I had been at an appearance all day long and we recorded it afterwards, but I was honored to be a part of it. Well, I hope it's the Italian film and not the shark film, lol. Thanks Pete. It was indeed the shark film - oh well, figures huh? Zombie Ants - in real life! Dr. Gangrene in latest Rue Morgue Magazine!